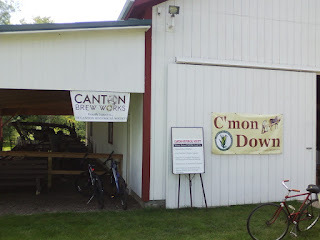 The Canton Historical Society: Brew, Brats, and Bands Are Back! The 7th annual "B-4" event will have over 75 varieties of craft beer available from local breweries such as Canton Brew Works and Liberty Street Brewing Company. Bands this year include All Directions and the Dale Hicks Band. Your ticket price includes 7 beer tickets (with additional tickets at 4 for $5), all you can eat bratwursts with fixin's, and a complimentary beer tasting mug. Tickets are $25 before Sept. 10 (and $30 at the door). DD tickets are $10. 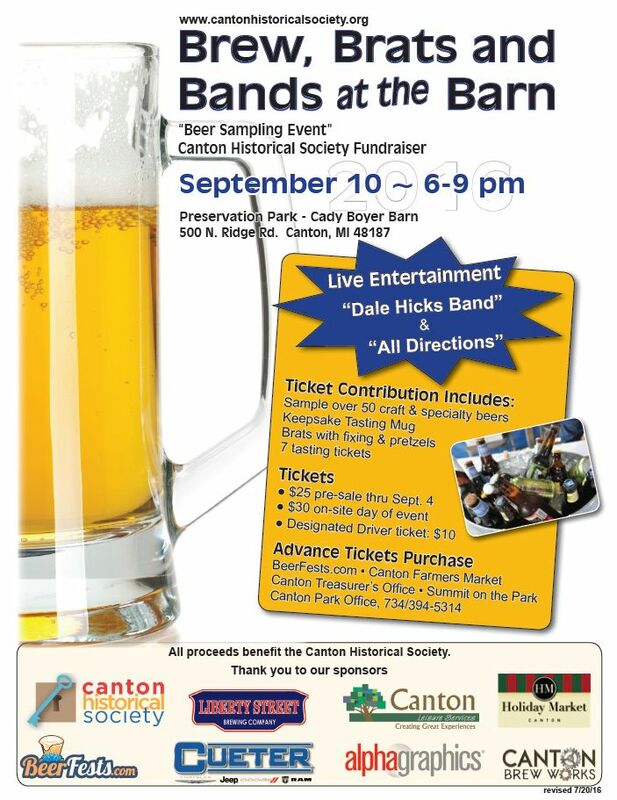 Proceeds will support the Canton Historical Society. 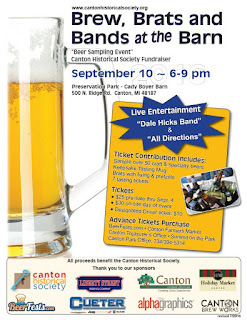 Advertise your organization with the Canton Historical Society! Display your business's logo at our Farmers Markets. The 2' × 4' banners will not only be displayed at our B-4 event, but will also be seen at every remaining Preservation Park Farmers Market this season! You will also see our supporters proudly displayed at other 2016 CHS events. Banners are $200.